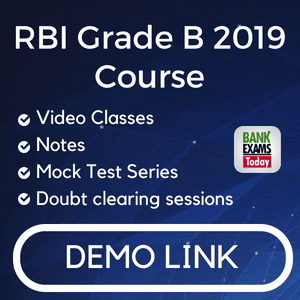 The banking and regulations act was enacted to safeguard the interest of the depositors and to control the abuse of powers by controlling the banks by any means necessary and to the interest of Indian economy in general. There are many provisions of banking regulation act 1949 and we are going to the topic about business of banking companies. The provision of the Indian Companies Act 1913 was found inadequate and unsatisfactory to regulate banking companies in India. Therefore a need was felt to have a specific legislation having comprehensive coverage on banking business in India. Due to inadequacy of capital many banks failed and hence prescribing a minimum capital requirement was felt necessary. The banking regulation act brought in certain minimum capital requirements for banks. One of the key objectives of this act was to avoid cut throat competition among banking companies. The act was regulated the opening of branches and changing location of existing branches. To prevent indiscriminate opening of new branches and ensure balanced development of banking companies by system of licensing. Assign power to RBI to appoint, reappoint and removal of chairman, director and officers of the banks. This could ensure the smooth and efficient functioning of banks in India. To protect the interest of depositors and public at large by incorporating certain provisions, viz. prescribing cash reserve and liquidity reserve ratios. This enable bank to meet demand depositors. Provider compulsory amalgamation of weaker banks with senior banks, and thereby strengthens the banking system in India. Introduce few provisions to restrict foreign banks in investing funds of Indian depositors outside India. Provide quick and easy liquidation of banks when they are unable to continue further or amalgamate with other banks. 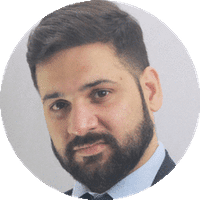 Acting as agents for any Government or local authority or any other person carrying the agency’s business of any description but excluding of the managing agent or secretary and treasurer of a company. Managing the public loan and private loan and solving issues respectively. May carrying on every kind of guarantee business. Managing, selling and realizing any property which may come into the possession of the company in satisfaction in any of its claims. Can acquire, hold and deal with any property or any right, title or interest in any such property which may form the security for any loan or advance which may be connected to any of that security. Undertaking the administration of estates as executor, trustee. Establishing and supporting of associations, institutions, funds, trusts and conveniences calculated to benefit employees or ex-employees of the company. The acquisition, construction, maintenance and alteration of any building or works necessary for the purposes of the company. Selling, improving, managing, developing, exchanging, leasing, mortgaging, disposing of or turning into account or otherwise dealing with the property and rights of the company. Acquiring and undertaking the whole or part of the business of any person or a company, when such business is of a nature enumerated or described in the act. Doing all these things as are incidental or conducive to the advancement of the business of the company. Any other form of business which the Central Government fixed in the Official Gazette, and specified as a form of business in which it is lawful for a banking company to engage. Technology based utility services like Tele-banking, Mobile banking, Online banking, DEMAT services for securities trading, ATM services, etc. Some of the activities mentioned both under agency services and general utility services are of new generation activities particularly after reforms in the financial sector and growing adoption of technology-based banking. 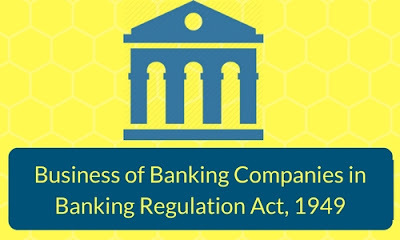 These are the important facts that are given in the 6th section of banking and regulations act 1949 regarding Business of banking companies.